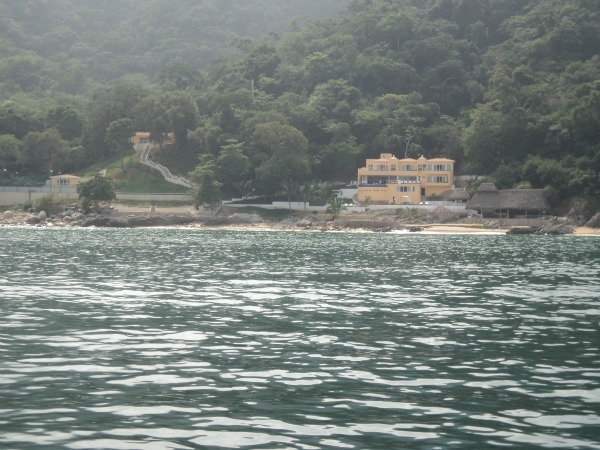 Real Estate Puerto Vallarta is becoming increasingly popular and in high demand. Before you buy, you should try living here for a few months on an extended vacation. You can always find a nice Puerto Vallarta Condo Rental for this purpose. I would personally recommend that you do this during the summer months so that you can get an idea of the summer flooding that sometimes occurs. Besides that, you can expect climate temperatures to be similar to that of Hawaii or Miami's weather. You will also probably need to learn Spanish. There are many online courses as well as schools in Puerto Vallarta that will teach and give instruction on learning this language. Besides the language barrier, there are also many different laws, driving rules and a whole new culture to get used to. Do lots of research about moving to Puerto Vallarta before you decide to buy Real Estate in Puerto Vallarta. The cost of living in Puerto Vallarta is less expensive than that in North America for the average middle class person. Of course, this would also depend on your lifestyle. Choosing a simpler life will save you money. On the other hand, if you want an extravagant life then you will have to open up your pocket book. Now that you have done your research and you are absolutely sure you wish to buy property in Puerto Vallarta, we have to look at the legal requirements for foreigners. Although technically a foreigner is not allowed to hold a title in this restricted zone, you can have a bank hold the title as a trustee. This way, you can still own the property and still live there year round. The Banderas Board of Realty is governed by strict laws and ethics. Choose a knowledgeable Real Estate Puerto Vallarta Agent to help you find the right casa for your particular situation. They have many English speaking lawyers to assist you with the legalities of your purchase. Some of their lawyers have studied in the USA as well as in Mexico. The Tourist Visa everybody gets upon arrival in Mexico is only good for six months. If you plan to live here year round, you will need to apply for a different Visa called a FM2 or a FM3. If you only want to live down here for six months a year, your regular Tourist Visa is fine. You can also rent out your place when you are not living here to make some extra money. Don't forget to look into different types of insurance as well as you never know when you will need assistance. It is always wise and in many cases the law to have different types of insurance such as homeowners, medical and auto when living in Puerto Vallarta. When moving to Puerto Vallarta you can have your car and personal belongings brought down tax free with your FM2 or FM3 Visa. Real Estate Puerto Vallarta can be a dream come true for you. Just make sure you work with a member of the Banderas Board of Realty. Also, don't forget to apply for the right Visa according to your plans. Last but not least, be willing to learn a whole new culture and language.